Houston Dynamo have parted company with Owen Coyle. The Glasgow-born manager has left the Major League Soccer club by mutual agreement. Coyle, who formerly managed Falkirk, St Johnstone, Burnley, Bolton and Wigan, was in his second season at Houston. They finished eighth in the Western Conference last year and are currently bottom having won just three of 12 matches. Assistant coach Sandy Stewart has also left. 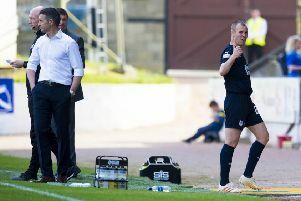 Coyle was seen as a rising star of management following his promising work with St Johnstone and Burnley. He guided the Lancashire club into the Premier League via the play-offs in 2009, the first time Burnley had played in top tier of English football for 33 years. Celtic were strongly linked with a move for Coyle that summer but he pledged his future to Burnley only to leave midway through the 2009-10 season for local rivals Bolton. Bolton were relegated to the Championship in 2012 and Coyle’s contract was terminated in October that year.